As one of the leading UK bookmaking and online gaming destinations, William Hill offers a vast variety of services including sports betting, live casino and games to name a few. Register now with the promo code and enjoy free bets credited to your account with your first-time deposit. How to set up your William Hill account with the latest Promo Code? 1 How to set up your William Hill account with the latest Promo Code? 1.5.1 William Hill Games – Deposit £10, get a £30 bonus. After filling out the 2-page registration form, you will have the option to add a promo code prior to hitting submit and join. Here, you can insert the promo code previously copied. Following this process will instantly give you access to this VIP bonus and make it available for use. For any technical difficulties with the bonus, you may contact the William Hill Support (00 800 3551 3551 or [email protected]). The 2 page registration form includes basic personal and contact information in order to successfully open an account. In addition to the easy sign-up process, bettors have access to promo codes enabling them to benefit from various welcome bonuses or additional perks. When signing up, users are recommended to insert their personal emails when filling out their contact information to avoid issues arising from lost passwords or in cases of corporate emails, total bankroll loss. Once signed up and ready to benefit from the bonus, users can expect a fast and efficient verification process. William Hill offers an automatic verification system in order or users to submit personal documents and identification when verifying their accounts. This verification process enables one’s account to be deemed fully verified and activates additional benefits, which include greater deposit and withdrawal limits, security advantages as well as a knowledgeable and speedy customer support team. The user opens a new account with William Hill using promotion code “C30”, validates it and subsequently stakes the first bet that qualifies as a Single Bet of at least £10 (“Minimum Stake”). The bet can be placed on any market or selection on the “Sports” page of the William Hill website (“Sportsbook Bet”). In terms of odds, they are of 1/2 (1.5) or greater during the Promotion Period, in other words, the initial bet placed by the new user. Once the above is completed, the bettor will receive 3 separate £10 free bets (total of £30 ‘Free Bets’). This sum is received in addition to any winnings that may have been won following the Initial Bet of the user. One of the key terms for the “Bet £10 and get £30” offer is that it is solely reserved for new William Hill online customers only. In addition to this requirement, the promotion is available to residents of the United Kingdom, Republic of Ireland, Jersey, Guernsey and the Isle of Man only. The validity of the promotion, or the “Promotion Period”, starts at 00:00:01 (UK time) on 01/01/2018 and end at 23:59:59 (UK time). As for the specifics of the promotion, the user is required to deposit £10 within the sporting market, “Sportsbook Bet”. The minimum deposit or unit stake of £10 consists of a bet at odds of 1/2 or greater during the promotion period. In order for the promotion to be eligible and the Initial Bet to be valid, the user is required to wager on a selection with single or cumulative odds of 1/2 (1.5) or greater within Sportsbook Bet by using the funds found the Main Balance section of the account. In this case, Free Bets do not qualify as Initials Bets. Following the minimum stake, the user’s account will benefit from free bets credited as 3 x £10. This promotion and the Free Bets generated as a result can only available once per customer and it only applies to Pre-match and In-play Bets. The validity of the Free Bets is 30 days following the date they were credited to the user’s account, also known as the “Bonus Period”, which may extend past the promotion period. In the case where unused Free Bets remain on the user’s account, then this credit will expire by the end of the Bonus Period. The free bets added to the user’s William Hill account are non-refundable and cannot be withdrawn. However, given that each of the free bets available to the account can be used on any of the bets available on Sportsbook Bet, once they have been wagered, the user’s winnings will become part of the accounts Main Balance. At this point, the user may either withdraw the amount available or decide to wager them in non-Promotion play. The way in which the returns generated following a wager placed using Free Bets include the total winnings less the amount that was stacked. In other words, any credit obtained as a Free Bet is not available to be withdrawn. In addition to restrictions on countries, customers using the following payment methods to deposit funds to place Initials Bets are not eligible: Neteller, Moneybookers, PayPal, PaySafe, Envoy, Skrill 1-Tap or Plus. Is sports betting legal in the UK and does William Hill have a valid license? Betting in the UK is a legal and regulated activity. Licensing and law regulate the industry to ensure the activity legal and available yet controlled. Operated by WHG (International) Limited, a company registered in Gibraltar, William Hill is licensed and regulated by the UK Gambling Commission for customers in Great Britain, and licensed by the Gibraltar Government and regulated by the Gibraltar Gambling Commissioner for all other customers. It relentless in its efforts to be the most transparent in its operations as well as provide top-notch service backed by quality service providers. Is there a promo code available if you are a registered player? The promo code available is unfortunately strictly available to new users who are residents of United Kingdom, Republic of Ireland, Jersey, Guernsey and the Isle of Man. While this specific promo code is reserved for new users, registered players have access to a multitude of various offers and may even benefit from special loyalty offers. Does William Hill charge a fee when cashing out? There are no fees applied by William Hill when users want to withdraw funds. The operator has strict guidelines on the matter, and rather offers special reload bonuses that are in the best interest of the user. If there are any fees applied it may be the result of moving funds from the operator, William Hill, and the money service in questions. How can I see and use my free bet? Once the Initial Bet is placed and the Free Bets have been added to the account, the user can click on their balance in the top right corner and select the Free Bets/Bonuses option with sports free bets and bonuses appearing at the top of the page. This will then generate a selection that can then be transferred into the betslip. At the bottom of the betslip there will be a drop down box initially showing “Select your free bet”, which by clicking on the downward arrow on the right will display the free bets available. After the user has selected the free bet they would still need to insert a stake next to the selection made. While it is possible to select a stake greater than the value of the free bet, the excess funds not covered by the free bet will be taken from the user’s balance. What is the difference between a Promo Code and a Bonus Code? In most cases, the William Hill promo code refers to an offer valid only for new users whereas the Bonus Code is an offer that is made available to existing users. William Hill Games – Deposit £10, get a £30 bonus. With this offer, part of the game vertical promotions, only first-time depositors qualify with a required minimum deposit of £10. The maximum bonus to be obtained from the promotion is £30, which expires 7 days from the day it was issued. The wagering requirement to be applied to the new user’s bonus is 40x on all slot games featured on the Games tab of William Hill and the subsequent redeemable generated from the bonus is a maximum of £2,000. Throughout the validity of the promotion, 15:00:01 (UK time ) on Wednesday 29th August 2018 until further notice, the user may cash in their bonus using the “Cash in my Bonus” feature. The following games are excluded from the offer: Blood Suckers, Castle Builder, Super Monopoly Money, Jackpot Jester Wild Nudge, Deal Or No Deal Jackpot and all “Vegas” games and “Bingo” games on the Games page of the Website. The following table games are excluded from the offer: Roulette, Casino Poker, Casino Heads Up Poker, Triple Hi Lo, Craps, Blackjack, Baccarat, 3 Cards Brag, Beat the Dealer, Casino Stud, Hold Em Poker, Heads Up poker, Hi-Lo Cards, Quick Bet Cards, Spoof and Quick Bet Wheel, 20p Roulette, Deal or No Deal Roulette, Deal or No Deal Blackjack. To benefit from this great offer, customers must opt into the promotion and is only available for to new Vegas customer. The offer may only be used once with a buy-in of £10. The bonus received is of £30 and is valid for 7 days after being issued. The promotion is valid from 00:00:01 (UK time) on 26th February 2018 until further notice, with the ability of the user to cash in their bonus while the promotion is still active. The minimum wagering requirement for this promotion is 50x the bonus. Also, the withdrawal of Bonus is only possible once the user has wagered at least £1,500 (50x of Bonus). This requirement is applied as soon as the Bonus has been added following the initial £10 buy in. The following games are excluded from the offer: Rainbow Riches, Starburst, Ted, Silver Lion, Top Cat, DOND What’s in your box, Cleopatra, Captain Cashfall, White Rabbit, Bonanza, Finn and the Swirly Spin, Reels of Fire & Mighty Black Knight. The following table games are ineligible for contribution: Roulette, Cash in Roulette, 20p Roulette, 100/1 Roulette, Big 500x Roulette, Mayfair Roulette, Heads Up poker, 3 Card Brag, Blackjack, Mayfair Blackjack, Mayfair Blackjack VIP, Live Vegas Blackjack, Live Speed Roulette, Live Texas Hold’em, Live Baccarat, Dreamcatcher, Super Fortune Dragon, Penguins World Tour, Leaders of the Free Spins World, Fishin’ Frenzy & Eye of Horus. How does the Bonus / Bonus Funds contribute to wagers placed in Promotion-play? Once the user places a wager in a Promotion Game, the stake will initially be taken from the Buy-In Balance. If there is a portion of the stake that exceeds the amount available in the Buy-In Balance, then the remaining amount will be taken from the Bonus Balance. Consequently, if there are insufficient funds in the Bonus Balance, the remaining stake will be deducted from the Main Balance. How can I withdraw my Buy-In Balance and Bonus Funds? If the user meets or exceeds the wagering requirements as per the specific offer, the promotion will no longer be available. In this case, the Bonus funds coupled with any amount available in the Buy-In Balance generated as a result of the promotion will automatically transfer to the user’s Main Balance. Keep in mind the terms on the maximum withdrawal amount for Bonus funds, as per offer terms. Funds are subject to cancellation and the user is unable to withdraw if the user cashes in their Bonus prior to meeting the minimum wagering requirements for Bonus Funds of given promotion. William Hill provides a vast selection of betting options, games and Vegas games to name a few. This is backed by top-tier software providers, ensuring the services are up to par with customer requirements. The currencies supported by William Hill are Australian dollars, Canadian dollars, Swiss francs, Denmark Kroner, Euros, British pounds sterling, Hong Kong dollars, Japanese yen, Swedish kronor, Singapore dollars, and US dollars. The website is available in multiple languages in order to cater to as many of its potential users as possible. The languages include English, German, Italian, Japanese, Polish, Swedish and French. William Hill is a licensed operator established in 1998 owned by WHG (International) Limited Casinos, a Gibraltar registered company. Their licensing is issued by Gibraltar Regulatory Authority as well as the UK Gambling Commission. Depending on the withdrawal methods, the times vary between instant withdrawals for the EWallet options and up to 10 days for Cheques or Bank Transfers. A list of all withdrawal times is provided below. The William Hill promo code C30 is also valid for mobile app registrants. 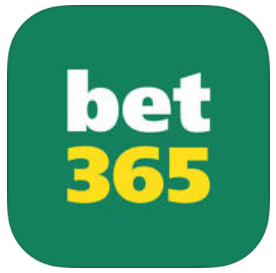 Bet365: As one of the largest operators in online betting, Bet365 boasts millions of clients globally and remain one of the go-to options for users. Their advanced betting options which includes a live streaming service as well as simulation when the former is not available. Bet365 boasts very competitive offers, with their bonus code being the greatest in value amongst all major competitors. NetBet: The promotion offered by Netbet are quite frequent and diversified. The operator offers unlimited withdrawals and is mobile friendly. Numerous deposit and withdrawal methods are provided, which render it user-friendly. The one downside is that the live chat for customer support is only open from 08:00 to 23:00 GMT. 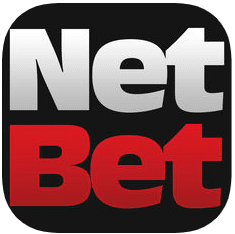 In this case, NetBet also provides support via email. Their Welcome Package includes a matching bonus up to £200 valid on Casino plus 10 Free Spins playable on Vegas. GoWild: While GoWild does not offer sports betting, their large portfolio of Casino, Live Casino and Go Vegas games (over 500 slot games). Their customer experience is also quite competitive with a 24/7 live chat to assist its users whenever needed. The operator also publishes payout reports on a regular basis, which is a useful tool for any user. Whether it is their welcome bonus offering 100% on 1st deposit or receiving a set of 25 free spins and a 50% bonus up to £200 on the 2nd deposit, the offers keep on giving.